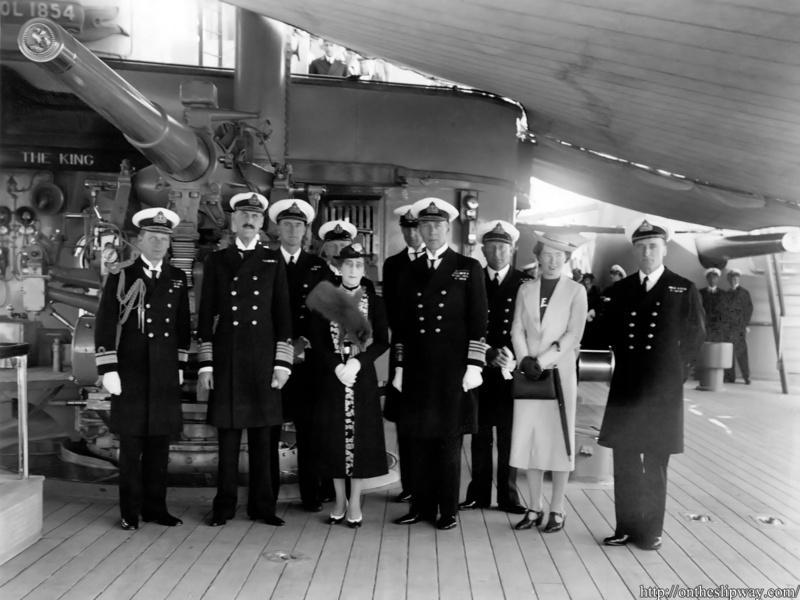 HMS Rodney showing her dress flags; the Olso city hall (rådhus) under construction is visible in the background. 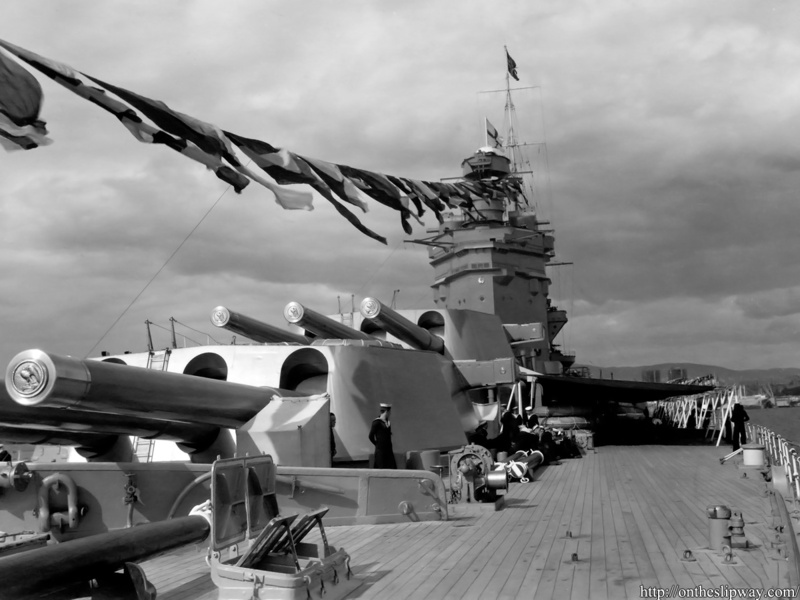 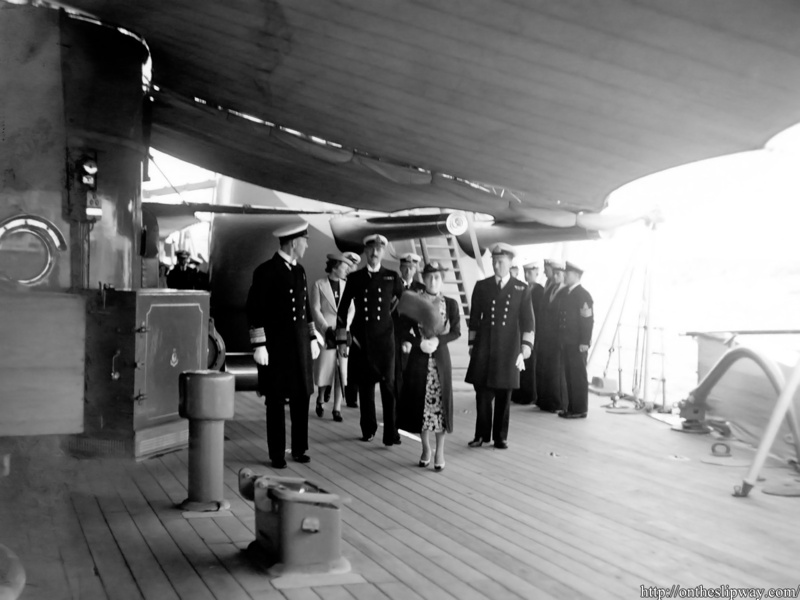 Note that the ship’s badge as visible on the tampions is also fitted to the rangefinder covers of A & B turrets; Nelson also had her badge in the same position. 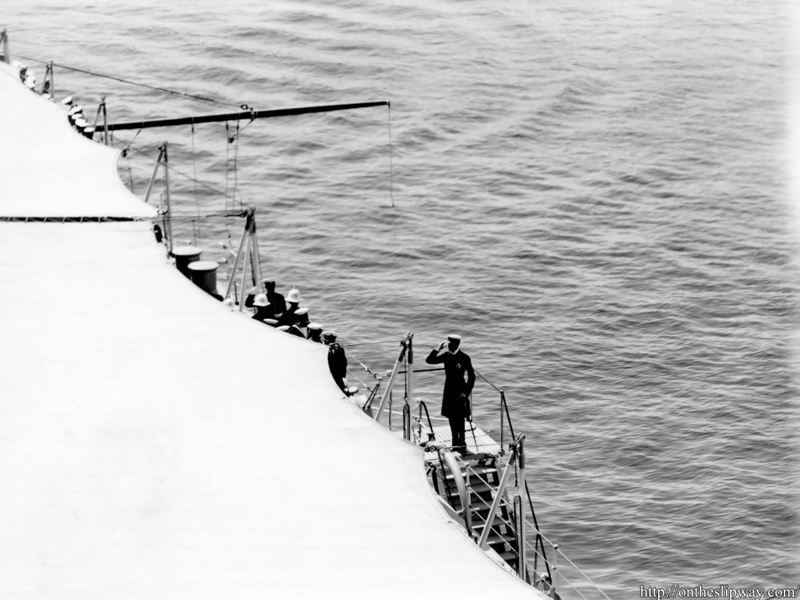 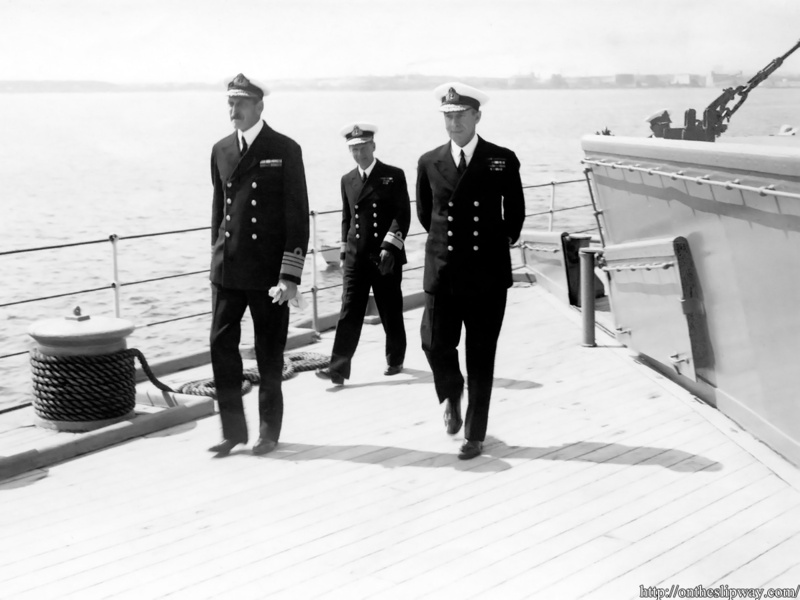 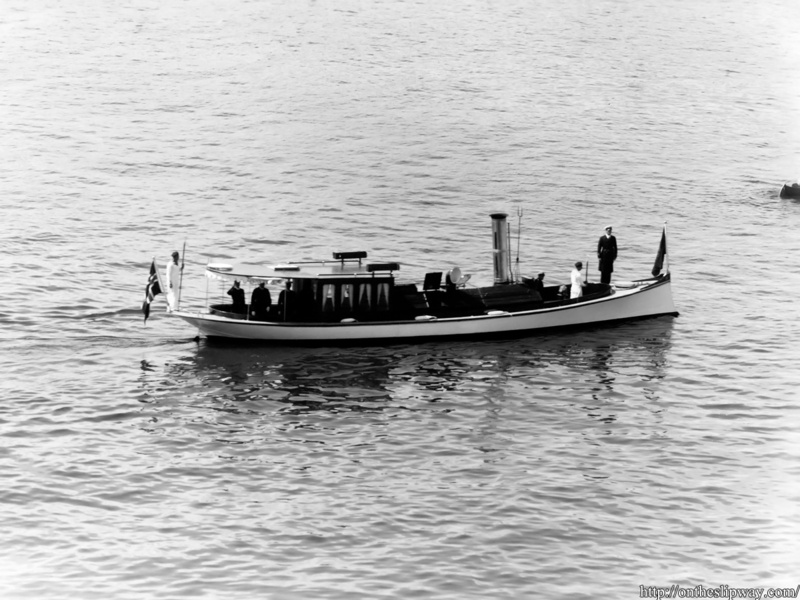 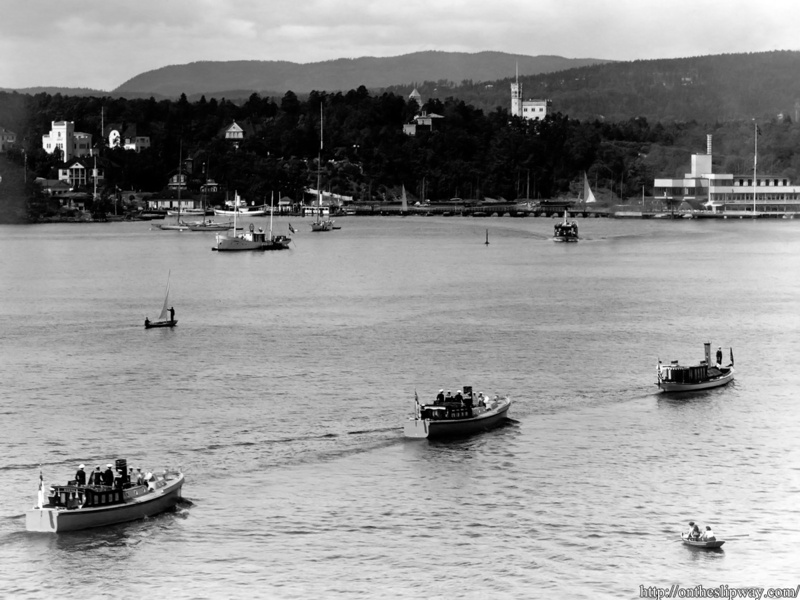 This image shows Admiral Backhouse (presumably) on the bow of the Norwegian Royal barge Stjernen I.